Instead of framing a picture, why not a whole garden? Cuttings of assorted succulents knit together to create colorful, textural living tapestries. 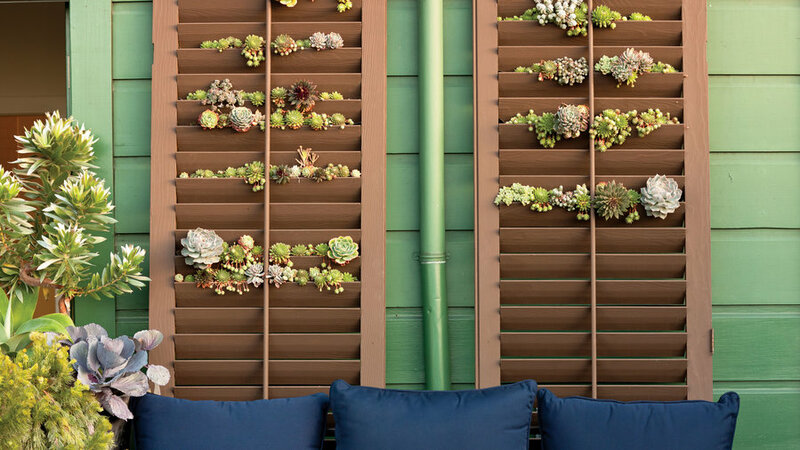 Twin shutters, each about 8 feet tall, bring a roomlike appeal to designer Baylor Chapman’s San Francisco deck. Tiny succulent rosettes peek out from openings between the slats. To hold the rootballs in place, Chapman (lilabdesign.com) stapled weed-cloth pockets behind each shutter. With an easy application of gold leaf (available at any art store), give tired terra cotta a second life. Just apply a spray-on adhesive and place the gold leaf directly on the pot, pressing it down with your thumb. Pull back the waxed layer, and seal again. 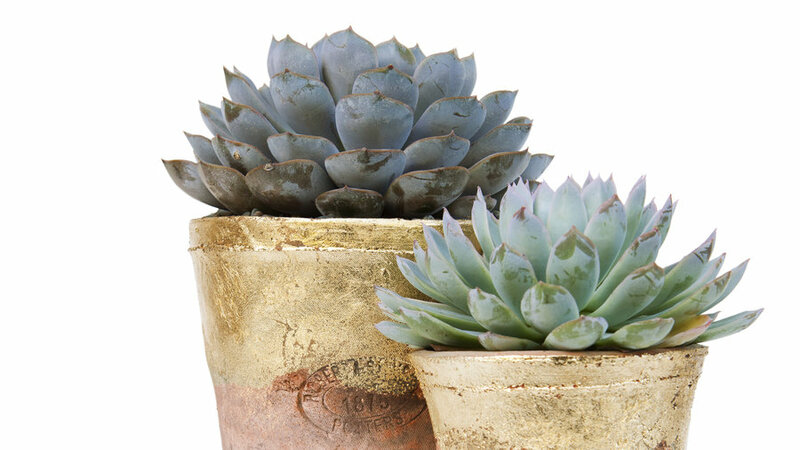 Plant succulents in the pot for a modern, glam-meets-green look. One of the best ideas from Debra Lee Baldwin’s Succulents Simplified (Timber Press, 2013; $25) is this garden, scaled down to dollhouse proportions. 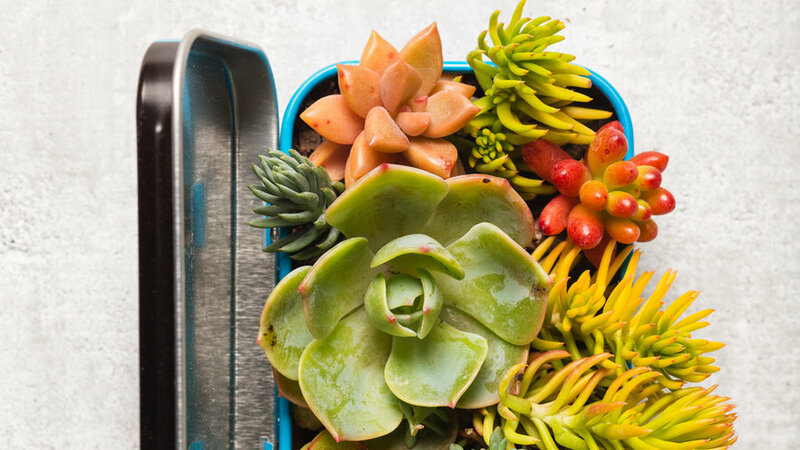 Poke a drain hole in a mint tin with a nail, then plant bite-size crassula, echeveria, or sedum in soil. Give as a hostess gift or place on your desk for a bit of green. 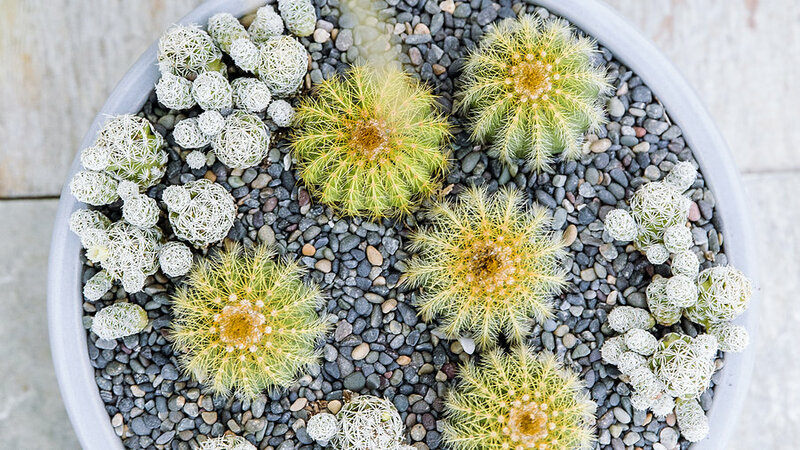 Baby barrel cactus paired with pale thimble cactus make a stylish duo planted in a low container. To hide the potting soil and create a more consistent look, top-dress the container with dark gravel. 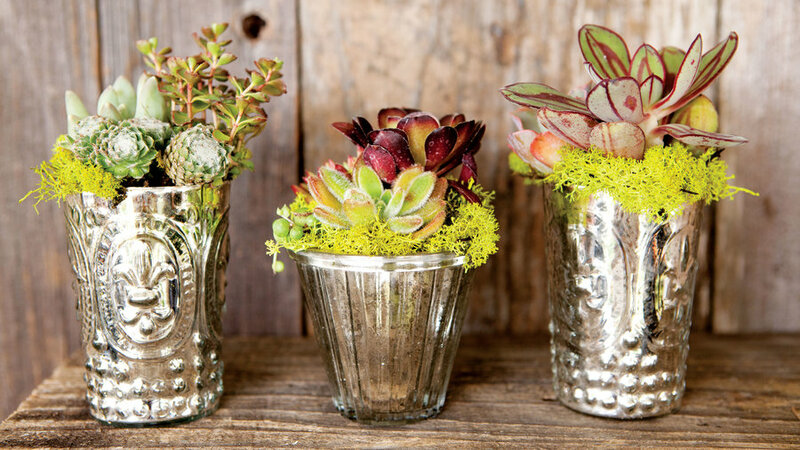 Use succulents for a sweet and stylish arrangement. 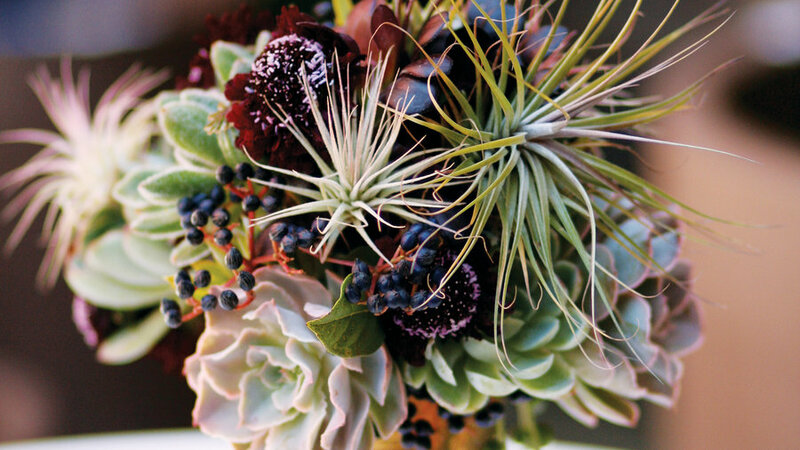 String of pearls and tillandsias accent a bouquet of succulent rosettes designed by Susie Nadler. 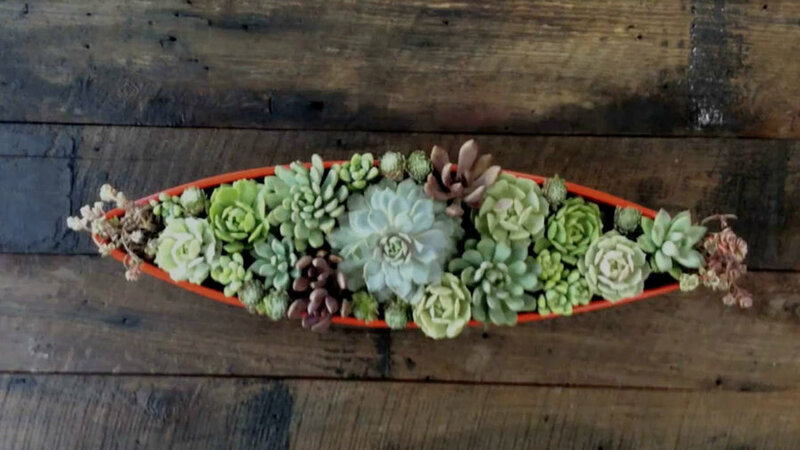 Watch our video (www.sunset.com/garden/backyard-projects/succulent-centerpiece-video) for an easy DIY tutorial on this stunning tabletop creation. 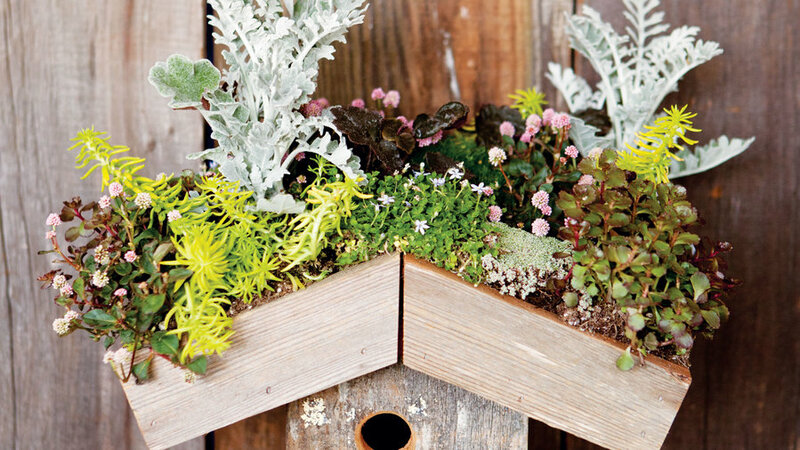 Mounding sedums, knotweed, and dusty miller cover the roof of this rustic birdhouse, designed by DIG Gardens. Mounds of tiny succulents and 3-inch crassulas set in moss recall frothy drinks in metallic glasses. 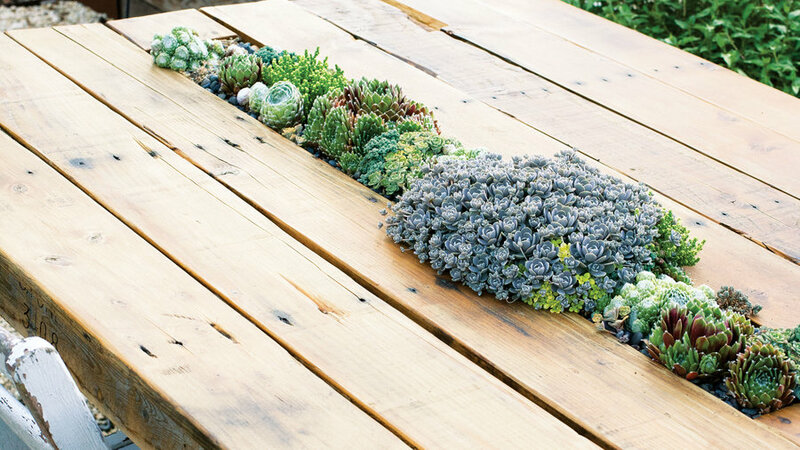 Succulents fill a long container (with drain holes) set into the top of this table built from recycled wood. Design: Far Out Flora. Los Gatos, CA-based landscape designer Leslie McKenna doesn’t like to waste much. Case in point: these birch branches turned vases, which she created from a felled tree on a recent job site. 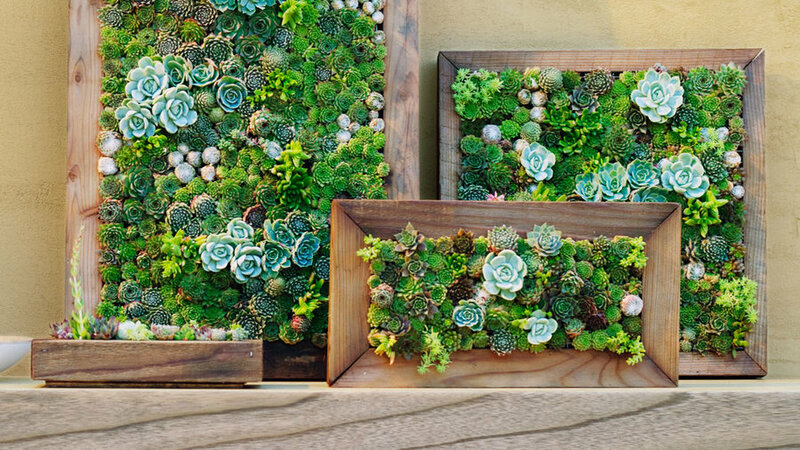 To make your own, drill a hole in a birch log with a 1-inch auger, then tuck in an array of succulents. The shallow-rooted plants don’t mind snuggling closely, and they need watering only once a week. Remember, many succulents are happy in a little bit of shade and will stay happier for longer with dappled sunlight. We keep a stash of succulents on hand in the Test Garden to be party ready at a moment’s notice!